Back in May I was called in to the Auckland Writers Festival to replace Bill Manhire who was ill and had to pull out at the last moment. 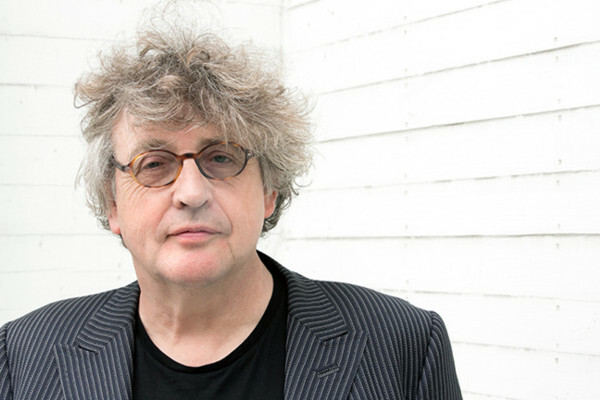 My job was to be ‘in conversation with’ Paul Muldoon, a fairly easy task I thought, at least in the sense that Muldoon is a fine poet, and a man of natural charm which audiences always respond to, with a soft voice and attractive Northern Irish accent. In addition to that, I had met him before and knew his poetry well; but I knew the poetry in a particular way. I had never studied it or approached it systematically, conscientiously as an academic. For me he has been one of those poets you go to when you’re struggling to find a way to write a new poem and you need a jolt, a shock, a surprise. I might go to his fellow-Northern Irishman, Seamus Heaney, for the ‘well-made poem’ – for a piece of near-perfect craftsmanship. With Muldoon you get, rather, surprises, sometimes quirkiness, sometimes obscurity, often mystery, and almost always originality. Some of this I said in introducing him and he seemed to like it – especially the image of the electric shock. That, he said, was what poetry was all about. Paul Muldoon. Photo by Beowulf Sheehan. Muldoon’s career as a poet appears from the outside to have been a succession of public triumphs. The prizes he has won include the T.S. Eliot in Britain, the Pulitzer in the U.S., and the Griffin International in Canada – probably the three most prestigious awards for poetry in the English language. He went as a young man to Queen’s University Belfast, married a fellow student (that marriage lasted only four years) and for the difficult years from 1973 to 1987 was a producer for the BBC in that city. During that time he became known as one of the Belfast group who were writing, not necessarily about, but out of, what is referred to as ‘the Troubles’, beginning with the clamour by Catholics there during the late 1960s for civil rights and equality. In Northern Ireland at that time Government and police were totally dominated by the Protestant majority, while Catholics suffered discrimination in housing, income levels and employment. This protest quickly shaded into the old demands on the Catholic side for a united Ireland and on the other, Protestant-Loyalist reassertions of Britishness. When protest and counter-protest got out of hand, the British Labour Prime Minister, Harold Wilson, sent in troops to restore order. The intention was also (or was said to be) to enforce some semblance of fairness between Catholic and Protestant; but the troops soon became a target for Irish Republican rage. What right, they wanted to know, had the Brits to be there at all? There were beatings and bombings, knee-cappings and many murders. Many died over these years, including numbers of British soldiers. The IRA bombings included some in England, most famously an attack on the Brighton hotel where Maggie Thatcher’s Conservatives were holding their annual conference, and the murder of the British Tory Cabinet Minister Airey Neave, and of the Queen’s cousin, Lord Mountbatten. Muldoon was from a Catholic nationalist family who looked forward to the possibility of a united Ireland, but did not approve of attempts to achieve it by violence – so his mother had always kept him, as a child, away from I.R.A. influences which were strong in the part of County Armagh where he grew up. His poetry has never seemed to commit itself clearly to, nor to involve itself directly in, either side of the argument – yet for a period ‘the Troubles’ were always and unavoidably, if only obliquely, there in his work; and they brought the poetry of Northern Ireland more attention than it would otherwise have achieved. So though Muldoon might have felt reluctant to be labelled politically, or identified in sectarian terms, these were issues that interested the popular press more than poetry as poetry, and so, without meaning to, he inevitably profited in terms of public attention. At Queen’s University Seamus Heaney had been a mentor, and had helped to get his first book published by Faber, after which Muldoon never looked back. Like Heaney he was both Catholic and Ulsterman; but whereas Heaney soon removed himself to Dublin as if to his spiritual home, Muldoon stayed on in Belfast. When finally he did leave it was to a teaching position in the U.K. (University of East Anglia) and then to become an American citizen, with a professorship at Princeton and more recently also poetry editor of the New Yorker. Like Heaney again, he did a five year stint (1999-2004) as Professor of Poetry at Oxford. Internationally he was well established, but with his regional identity, which stays with him in his accent, a continuing signifier. In preparation for my conversation with him I went to an earlier Festival session in which he was on a panel, with Noelle McCarthy and John Boyne, to discuss the Easter Rising of 100 years ago. Boyne seemed less interested in the particular historical topic than in the chance to report again that for a gay person like himself, Ireland had been ‘a terrible place to grow up’ and that the Catholic Church had made his childhood miserable. Noelle remembered weeping when she first learned, as a child, that the Irish rebels of 1916 had been executed by the British; and subsequently being surprised as a history student to discover that even from a Catholic and nationalist point of view, the wisdom of the famous Easter rebellion had been questionable. Muldoon tended rather to mock the rebellion and to say the British had made heroes out of failures by shooting the 16 ring-leaders. All three panellists seemed to avoid, to skirt around, the subject of Yeats’s famous poem, ‘Easter 1916’ (which I've written about here previously), in which he says the comedy of daily life in Dublin had been elevated by the Easter rising into tragedy: ‘a terrible beauty is born’. So even with a panel of three Irish Catholics one was in the midst of contradiction and ambiguity. I had no time to prepare for my ‘conversation’ with Muldoon, except about 20 or 30 minutes immediately before, when he shut the door on our appointed dressing room and unwrapped two enormous salad-filled baps which he offered to share with me. I tried to suggest we might have some kind of plan but he showed little interest in that idea and wanted just to chat about our lives and recent doings and whether being poet laureate involved me in writing semi-official public poems. So we went in to the very large auditorium with little idea of where the conversation might lead us. I had been reading his most recent collection, One thousand things worth knowing, and had managed to ask before we went in whether the otters in the poem ‘Cuthbert and the otters’ were, as they appeared to be, pall-bearers at the funeral of Seamus Heaney. He said they were, and then corrected himself: that was what the poem seemed to be saying. I said it was what he seemed to be saying – and that was as far as we went with that. I knew he was the person the crowd were there to hear, and so tried to stand clear and give him only prompts for what I hoped would be largely a monologue. Very early I got on to the subject of the title poem of his 1980 collection, Why Brownlee left, by reading a few sentences of a novel (it was my own, Risk, p.54, but I didn’t say so) in which a group in Oxford are asking one another whether ‘What’s became of Waring’ is a poem by Browning or a novel by Anthony Powell (they decide it’s both) and whether it does or doesn’t have anything to do with a poem by Paul Muldoon called ‘Why Brownlee left’. These, the Browning and the Muldoon, are both poems about a disappearance – hence the question in the novel. Brownlee, Muldoon’s poem tells us, ‘should have been content’. He had ‘two acres of barley,/ One of potatoes, four bullocks, / A milker, a slated farmhouse’ – ‘slated’ rather than thatched, a sign of relative affluence. He had been out ploughing ‘On a March morning, bright and early’, and the horses were found still standing in their harness. This seemed a good place to start the session: a short poem full of menace, as I saw it, of a kind typical of ‘the Troubles’. I asked him to read it, and hoped the audience would hear especially that distinctive Northern Irish ‘now’ at the end of the second line which would give it its regional colour. I suggested that anyone reading about this mysterious disappearance at the time the poem first appeared would want to know was Brownlee Catholic or Protestant? And then was he ‘on side’ with his own side, or ‘off side’ with it? Would the IRA or the UDF have been interested in him – or even the ‘B-Specials’? And finally there was the possibility that the disappearance had no political element at all. I was surprised that Muldoon seemed not to want to affirm a political/sectarian reading of the poem. He didn’t say it was ‘wrong’. How could he? But he was much more inclined to emphasize the hints of a domestic explanation: those horses ‘like a man and his wife’ for him were possibly symbolic answers to the mystery. They were harnessed together and restless, ‘gazing into the future’. I couldn’t decide (nor discuss, of course) whether this was merely a sign of how the poem had begun for him, what had been in his mind at that time (had he, for example, simply walked out on that first marriage? ); or whether, on the other hand, he was merely revealing a resistance to readings of his poems that pushed them right back into the political turmoil out of which they may, nonetheless, have been an escape. Across two fields and a river. We didn’t discuss this one, but it seems to me it has to be either full of the political menace of its time, or meaningless. You hope there are lovers in the parked car with its engine running, but think these hurrying men may be returning to it to make a getaway from something terrible they’ve just done – planted a bomb perhaps, or shot a sectarian enemy or an informer. Why else is it called ‘Ireland’ which the poem defines as a place of uncertainty and anxiety. Why else was the wider public, normally indifferent to poetry, so interested in the Northern Irish poets when Muldoon was young? It would not, however, be difficult to understand a wish on Muldoon’s part to move away from an identity which seemed in retrospect constricting. would certain men have stayed in bed? So I quoted this, hoping it might lead Muldoon into further elaboration. Instead, he explained that the poem the lines appear in was (as its title suggested) about 7, Middagh Stree in New York, and the weird and wonderful assortment of people who lived or visited there, including Auden, who is imagined giving this dismissive response to Yeats’s boasting of having helped to bring about the 1916 revolt. Once again I felt Muldoon himself had evaded capture. My memory of the session is somewhat hazy. There is first the fact which few in these audiences recognize, that those on the platform are blinded by the lights. You know there are people out there but you don’t know how many and can’t see their faces until the end when the house lights come up. I felt it was a good sized crowd, that they were enjoying Muldoon’s voice and charm, and that the exchanges and jokes between us were being well-received. I had spoken of my admiration for his work, and he had praised mine – or rather, my first critical book, The New Poetic, which had influenced him as a young poet. There had been gemütlickheit between us which extended to and from the audience; but I began to be anxious that we might be becoming insubstantial, directionless. I suggested we might move on to his most recent book, and he read a couple of poems from it, and talked (not for the first time) about how poets ‘dis-improve’ as they get older. He referred to reviews which had given the impression that his poetry was becoming more difficult. There was the sense of a hovering anxiety, and I thought I recognized in it what I think of as the ‘middle phase’, in which poets who have had a stellar beginning, and have got used to praise as if it is always their due, begin to encounter a certain resistance among readers who are no longer astonished by their freshness, and are more judicious about what they like and dislike. I didn’t say any of this; but I thought there were plenty of examples, not least Yeats himself, and Pound of The Pisan Cantos, even Shakespeare, of poets whose later work is far from a dis-improvement, and that Muldoon need have no anxiety – in the long run he would be one of those. From the new book, One thousand things worth knowing, he read one about camels, which seemed to say (among much else) that a Muldoon uncle fought at Gallipoli; and then a poem called ‘Saffron’ which moved back and forth between the ancient past (Cleopatra and Alexander), and 1987 at the University of East Anglia where ‘Ezekial’ had introduced him to ‘the art of the lament’. This might have been the Indian poet, Nissim Ezekial, or another – I couldn’t be sure. And from the poem he wandered conversationally into the subject of saffron itself, the colour, the cooking ingredient, the cloth of the robe of the Hare Krishna ‘late at night […] stranded at a bus stop / on the outskirts of Norwich’ with which the poem ends. I think he saw this, ‘saffron’, as a random subject through which subjects of any scale at all, the world itself, ‘reality’, might be approached. Question time followed, and an eager, earnest young man with an Irish accent who described himself as ‘queer’ struggled to explain (if I understood him) that he didn’t want saffron and evasion, he wanted ‘the big subjects’ directly confronted. I thought it might be my role to make sure he didn’t go on too long with his question, but Muldoon leaned forward listening attentively and encouraging. There was another question which I’ve forgotten; and then a woman asked about books for children – what would Muldoon recommend that would lead a child into the world of literature? He spoke of Treasure Island at some length. It was a book he re-read every year; and he praised especially its characters, with reflective pauses which suggested they were becoming real to him as he spoke. It was my first book too, read to me before I could read, and often thereafter, but I was thinking this questioner would be aware there were no significant female characters. Perhaps that crossed Muldoon’s mind too, because he mentioned the mother (a negligible character) but did not move on to other books for children. So, strangely, the session ended with fulsome praise by a Northern Irish Catholic for those quintessentially English characters Jim Hawkins, Squire Trelawney, Long John Silver, Dr Livesey and the rest, found in a book by an itinerant Scotsman. Literature can take you on strange journeys. In the dressing room again, where we had shared that immense bap, we hugged a farewell and I handed him over to the person who would take him to the signing table. Out in the foyer a group of friends were beaming and congratulatory – satisfied customers: the session had gone well. Someone called out to me, ‘Thank you for that.’ I encountered Noelle McCarthy and was embraced. The session, she said, had had ‘a quicksilver vibe’. I remained puzzled and uncertain, as I still am, except that I suspect there is something mysteriously wise and humane about Muldoon’s poems, even when they don’t make perfect sense; and something Irishly magical about his charm – part blarney, but more than that.